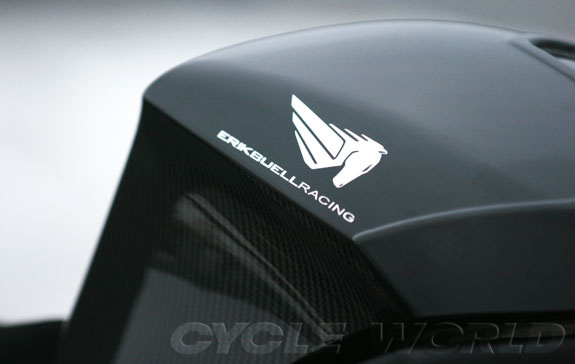 The only downside in the release of the new Buell—oops—Erik Buell Racing 1190RS is that GM has somehow managed to hang onto the “Firebird” copyright. 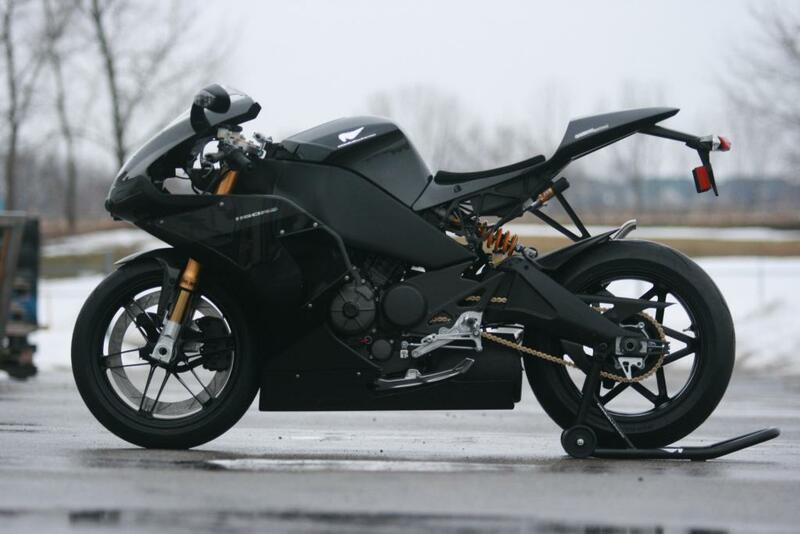 If any vehicle ever deserved to be named after the phoenix, the legendary immortal bird that was continually reborn after repeated immolations, it’s this road-going superbike that is leaping from the ashes of the Buell Motorcycle Company. The 1190RS is very loosely based on the never-released Buell Barracuda B2, or more specifically, the superbike homologation special that was in the process of being derived from the B2 when Buell was closed. The 1190RS uses a new frame made by the same Illinois company that built the 1125R frame and was to build the B2 frame. The new frame, made with castings newly tooled by EBR, has indentations in the side beams to allow room for clipons, and opens up behind the steering head to allow a three-times-larger ram-air snorkel to directly reach the all-new airbox. 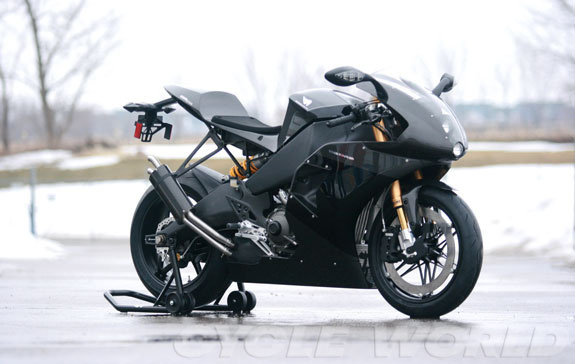 The frame, in Buell tradition, holds just a little less than five gallons of gasoline. 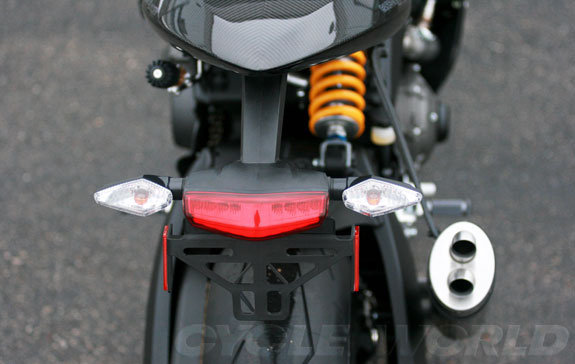 Stacked projector-beam headlights of the EBR 1190RS are like those used in the Buell Firebolt. 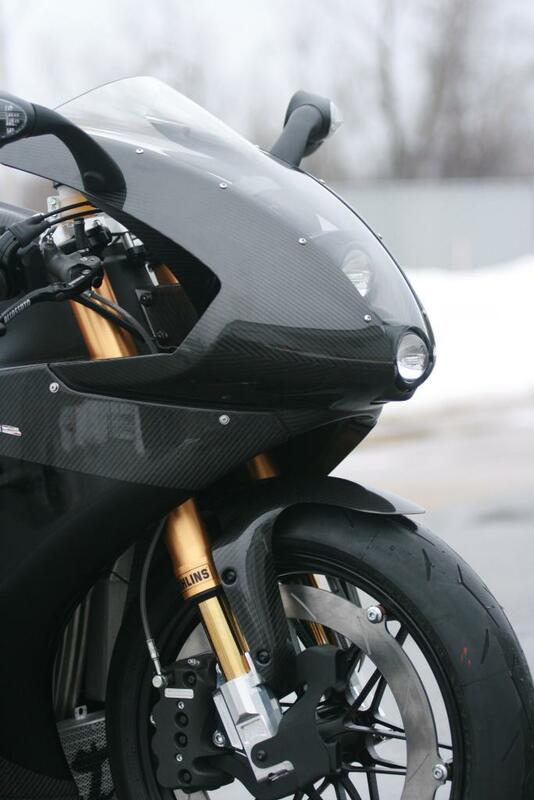 Price is expected to exceed $40,000 for the Carbon Edition, and horsepower is expected to rival that of a Ducati 1098R. The engine carried by that frame is essentially a bored-out version of the 1125R powerplant, now displacing 1190cc. 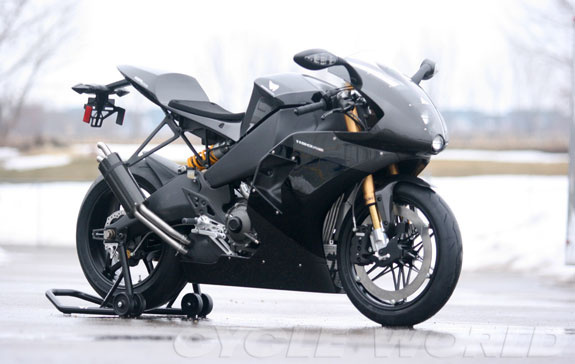 Perhaps more importantly, every one of its reciprocating components has either been replaced with a part from the Buell Superbike program, or a part closely related to such a part. Valves are titanium, the camshafts are straight from the 1125RR Superbike, the connecting rods are machined from forged steel blanks by an American company (rather than the F1-like titanium parts of the 1098R), and the three-ring, 106mm pistons manage to be lighter and stronger than the 103mm forged pistons of the 1125R. A thicker-than-1125R base gasket is used to reduce compression to something suitable for pump gasoline, while its removal allows a very rapid path to full-Superbike tune. The new airbox—autoclave-molded from pre-preg material—is an integral part of the power package, its floor dipping down between the frame rails and encompassing the throttle bodies rather than starting above them. It roughly doubles airbox volume from the 1125R, and allows the bigger engine to develop is full top-end power. 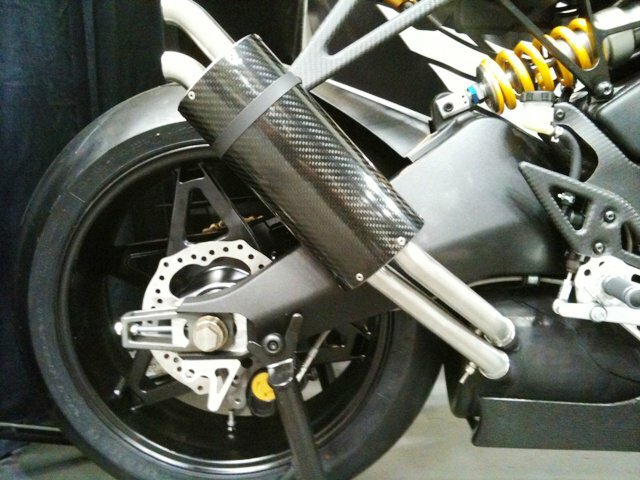 In street tune, complying with EPA emission and noise requirements, rear-wheel power will be in the same range as a Ducati 1198. The simple addition of a race pipe and ECU boosts output substantially higher, to something close to that of the 1125RR which Geoff May rode in 2010 AMA Superbike races. That’s not too surprising as the internal parts are so similar; the amazing thing is that EBR was able to get this engine, in this tune, through noise and emission tests. Credit that in part to a very refined fuel map, and two very expensive catalysts in the big main muffler. 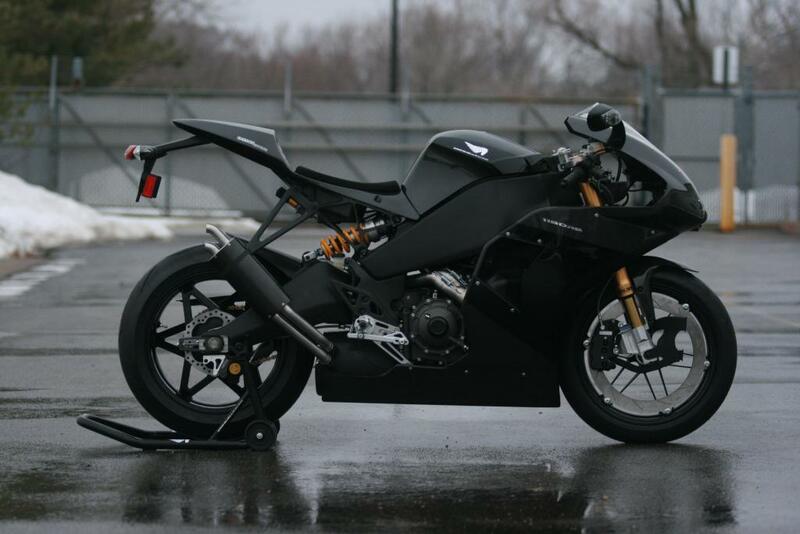 The new radiators and oil-cooler are no wider than the frame rails and, like the bodywork, were based on the final studies of racing parts executed at Buell Motorcycles. 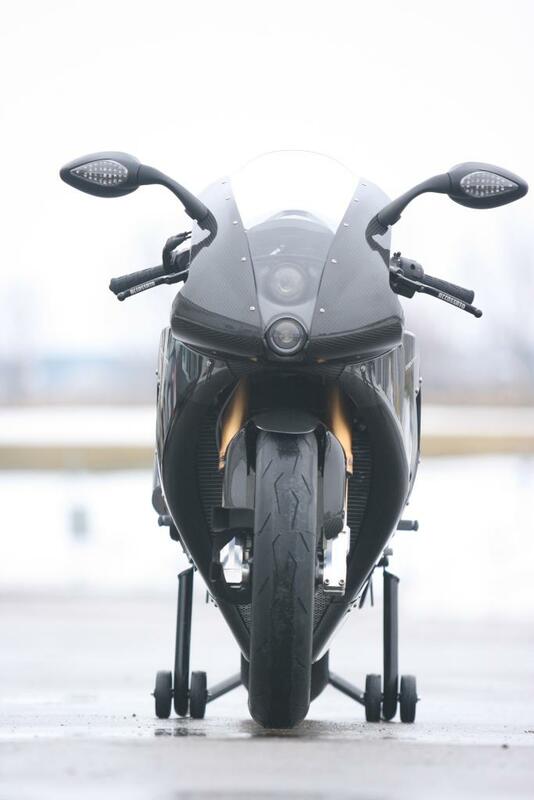 Half a foot narrower than the pods of an 1125R, and inches narrower than the B2 lower body, the new fairing is a very substantial aerodynamic improvement over any other configuration that ever graced an 1125—not to mention the fact that it looks good. 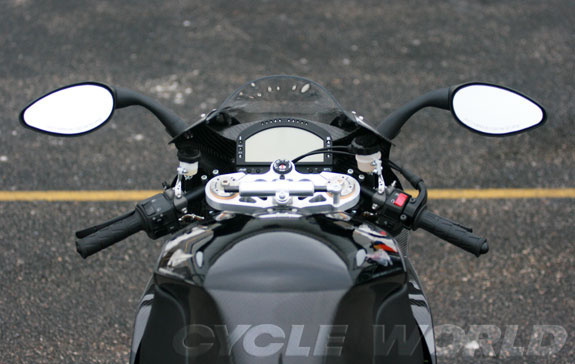 The wide 1125R/B2 headlight has been tossed, replaced by two little projector beam headlights stacked vertically. The upper one is covered by a projection of the windscreen, which comes with a hard-coating that’ll keep it sufficiently scratch-resistant for this usage. 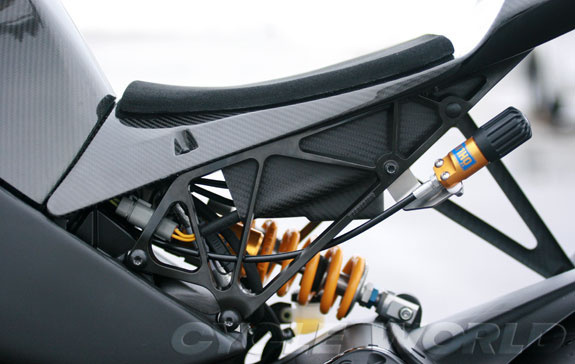 The version of the 1190RS shown in these pictures is the “Carbon Edition,” where essentially every piece of bodywork and every bracket other than the main frame and swingarm are made from carbon fiber. 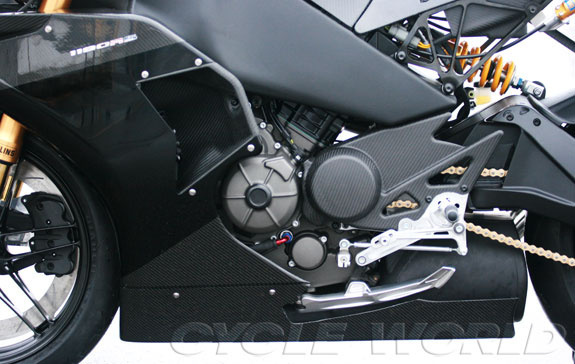 Because some of these parts are banned from the AMA Pro-Racing Superbike class in carbon, there will also be a “standard” version using parts pulled from the same molds in less exotic glass-based pre-pregs. There are very few 1125R or B2 parts remaining on this machine. The dash is an AiM Sports MXL Pista, a high-end design with data-logging function typically reserved for racebikes. 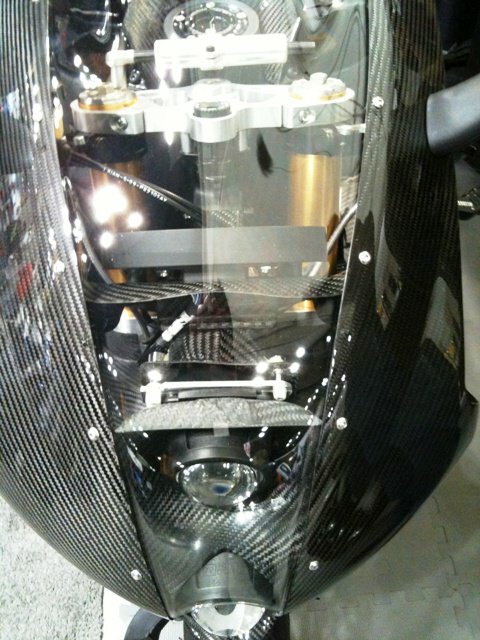 The fairing/headlight bracket is a pre-preg carbon or glass piece, depending on model. 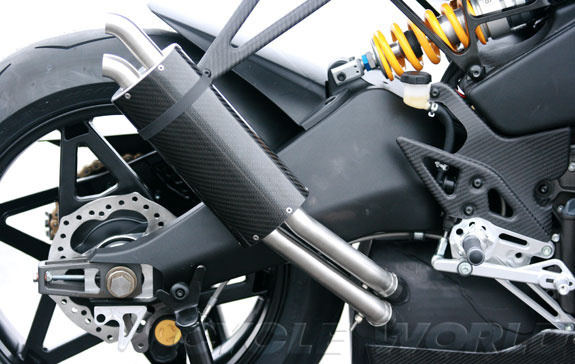 The footpeg carriers and triple-clamps are new CNC billet parts. 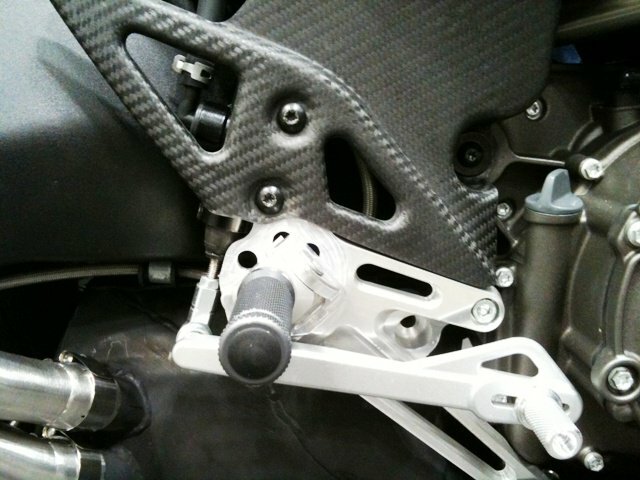 The suspension is now Öhlins rather than Showa, very similar in specification to what Geoff May raced last season. The chain is a skinny 520 DID, the same one used by the race team. The wheels are refinements of designs begun in Buell’s race department, parts that were structurally optimized via computer analysis down to the last gram. But rather than the aluminum versions from a Chinese supplier that were meant for the B2, these are from an Ohio-based casting house and done in magnesium, using an exotic, American-patented casting process that produces parts that rival wrought parts in strength. 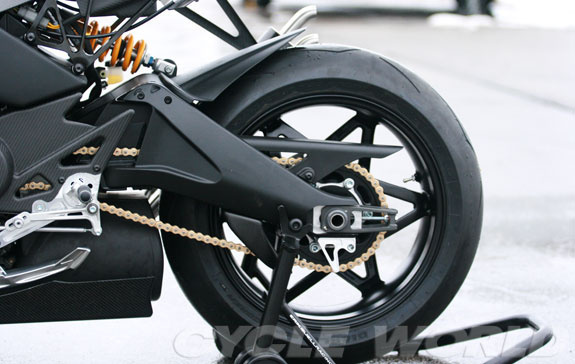 The front wheel weighs less than 7 pounds, the rear less than 10. Both the narrow chain and the light rear wheel are made possible by a torque compensator built into the engine outlet sprocket, similar to the one used on the belt-drive sprocket of the 1125R. 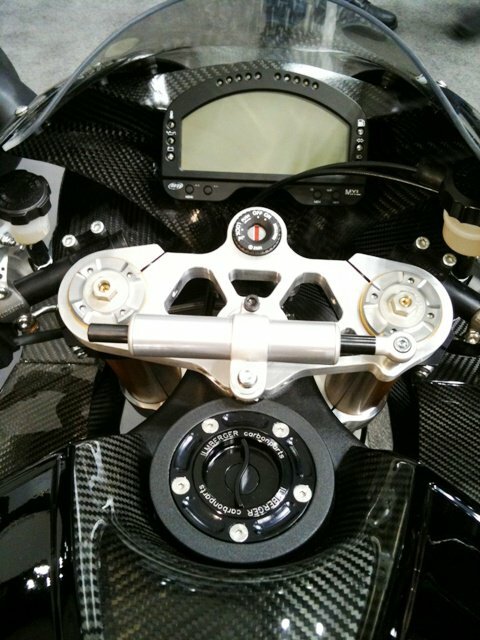 Just for reference, typical rear-wheel compensation (cush-drive) systems frequently add 3 pounds to the rear wheel of a streetbike, and a 15-pound rear wheel on an open-class sportbike isn’t unusual. The carbon edition of the 1190RS will scale well under 400 pounds wet (minus fuel), making it perhaps the lightest open-class race replica. 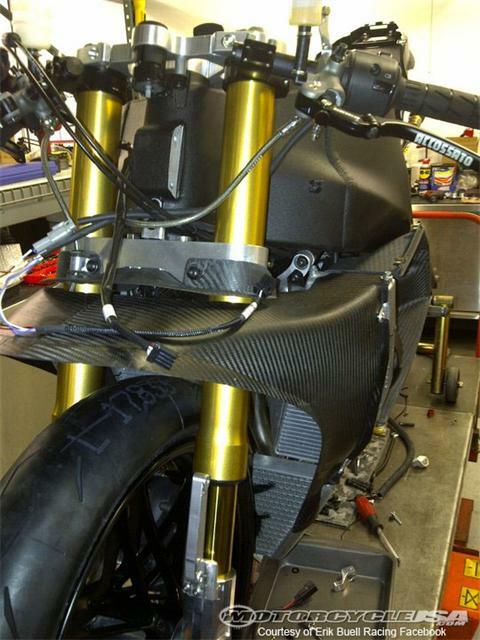 One accessory will be a 20-pound piece of ballast to bring the bike up to superbike weight in AMA trim! And racing is very much in this machine’s future. 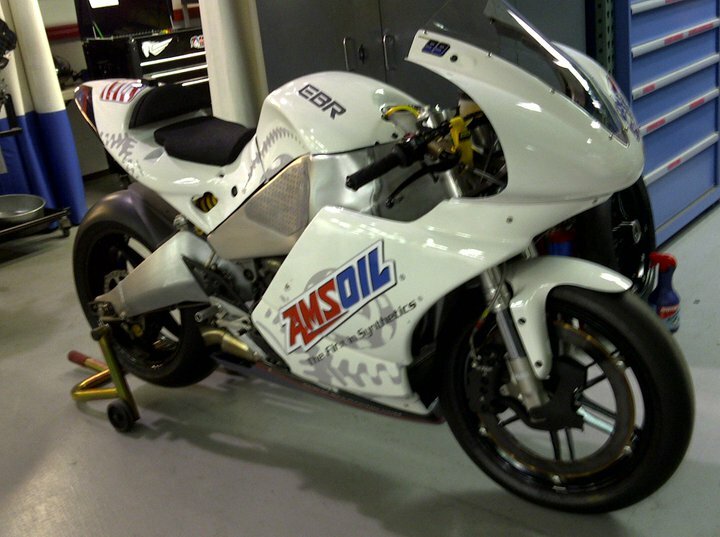 EBR just announced a three-year sponsorship agreement with Amsoil that will see Geoff May back on the 1125RR at Daytona, and on the 1190RS in time for the Infineon round in Sonoma, May 13-15. 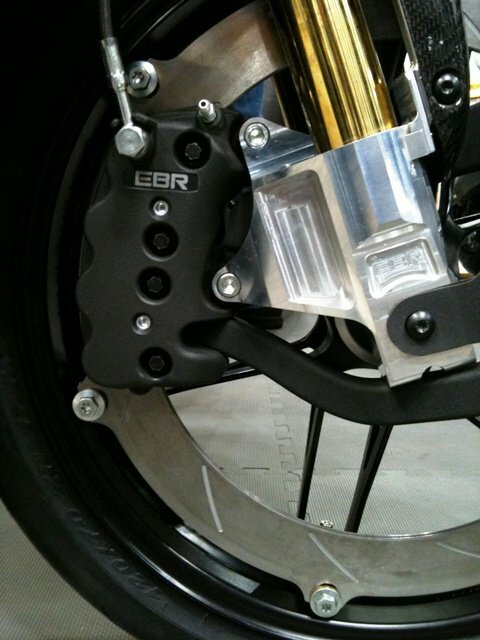 EBR has scheduled a production run of 100 1190RSs, with exact pricing to be determined shortly. 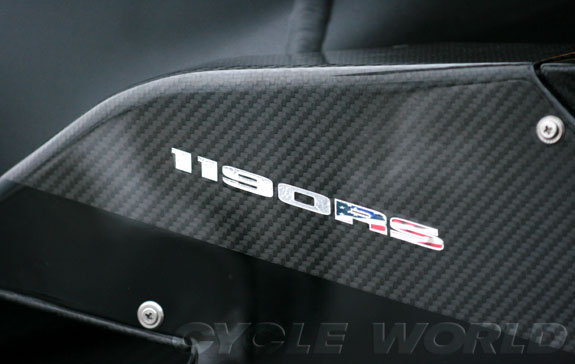 Be assured that the standard 1190RS won’t be any less expensive than was a Ducati 1098R, and the Carbon Edition will be more expensive yet. 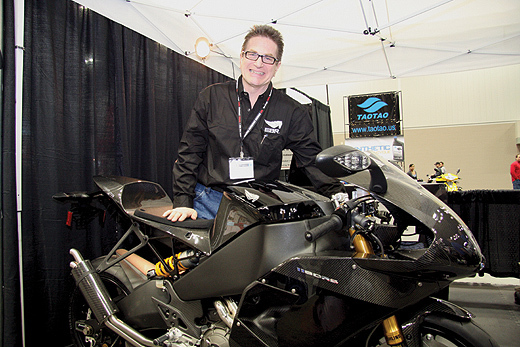 And also be assured that Erik Buell doesn’t plan on being in just the boutiquesport bike business; he intends to follow these $40,000-plus machines with more affordable versions. 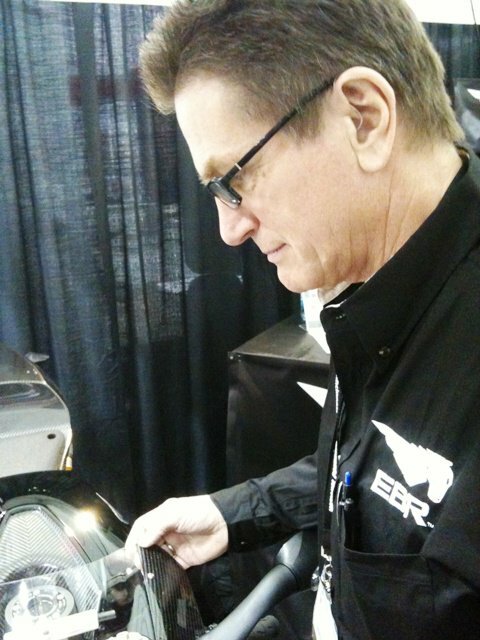 But as the first products of EBR, it shows what Mr. Buell can do unencumbered by Harley bureaucracy and product planning.